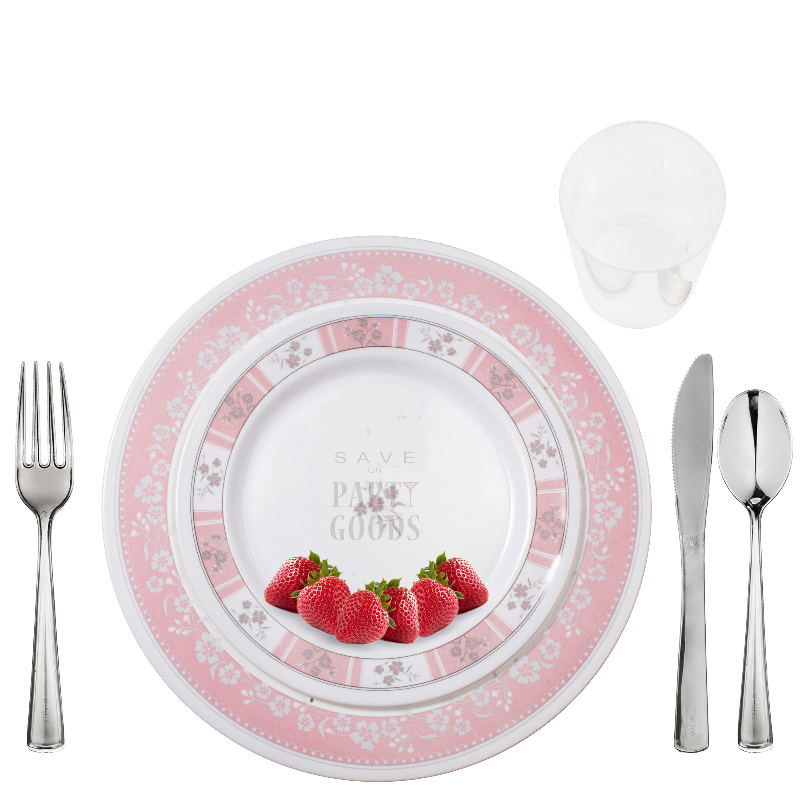 Material: Heavy-Duty melamine plastic for one-time use or rewash for multiple uses. Do it right; excite the appetite! 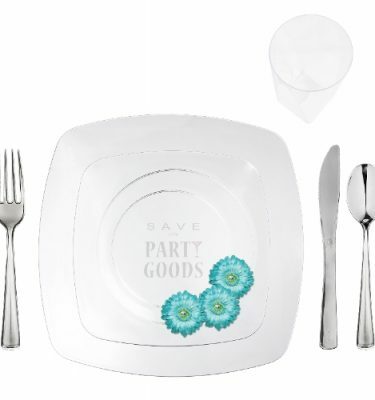 This is one of a kind disposable dinnerware bound to impress your guests. 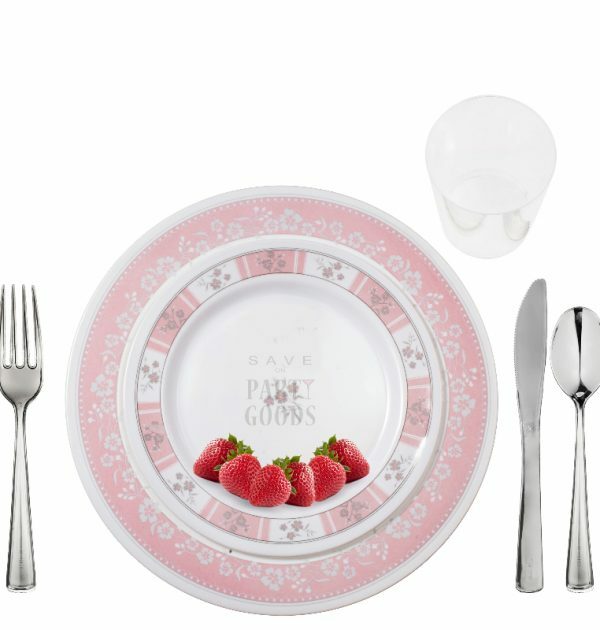 Bring out the color, with these “concord pink” plates. 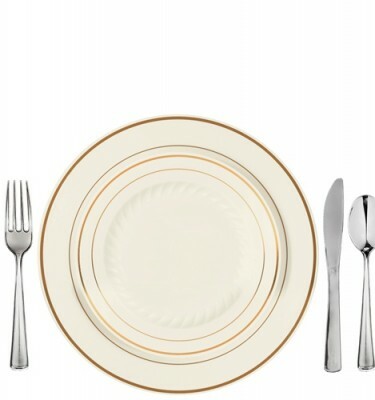 It’s subtle, it’s smart, it sets a new standard for a superior dinner. 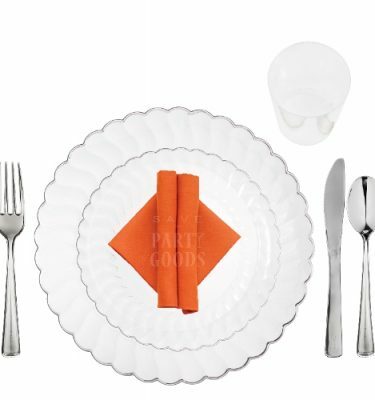 For under $2.40 a person, you can have your complete table setting set! Enjoy some of the finest from our “China-Look” collection. Effortlessly and Economical! 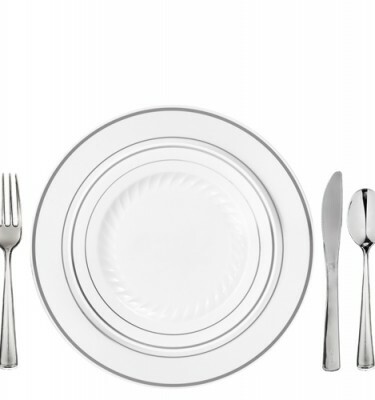 The setting is topped off with “silver reflection” cutlery and tumblers for a full table setting.